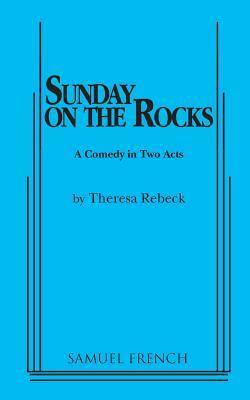 Sunday on the Rocks (Paperback) | The Drama Book Shop, Inc.
On a beautiful Sunday morning in mid-October, three housemates decide to have scotch for breakfast in this play by the author of Spike Heels and Loose Knit. Elly is pregnant and considering an abortion, Jen is being harassed by a co-worker who is obsessed with her, and Gayle just feels a bit lost. Their problems are compounded by a fourth roommate, Jessica, a religious young woman who has little compassion for their confused attempts to make sense of life in the nineties. As they drink, joke, and argue it becomes clear how difficult it is to make a moral decision in an increasingly complex world.